Lyophilized, sterile, human, recombinant protein, expressed in E. coli. For research use only. 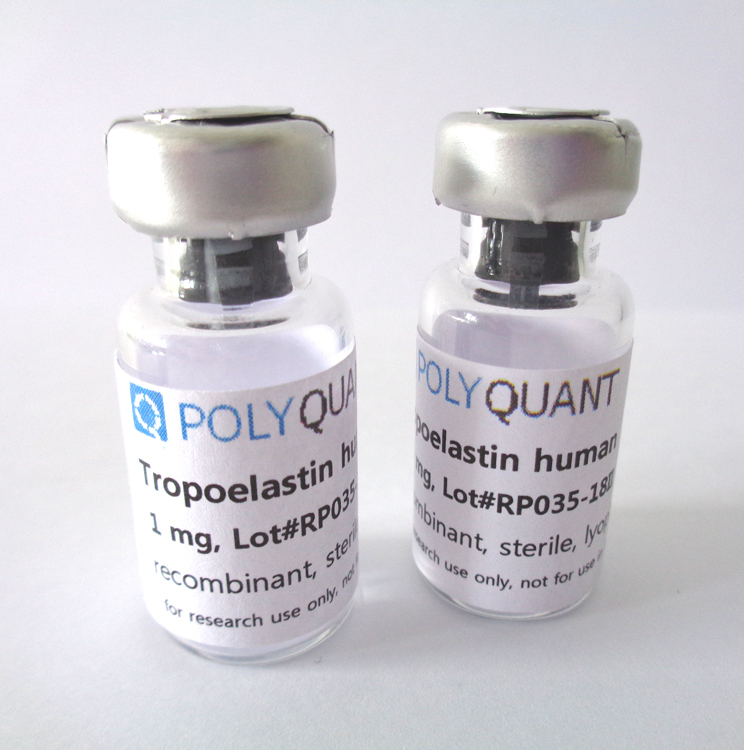 Tropoelastin is typically used as surface coating for cell culture, providing an attachment framework for the adhesion and growth of a variety of cell types. Hydrogels are water-saturated polymer structures buildt by crosslinking a hydrophilic monomer with other co-monomers. Tropoelastin-containing hydrogels have been shown to support cellular growth and proliferation of different cell types [PubMed]. Electrospun tropoelastin can act as microfiber scaffolds for adipose-derived stem cell (ADSC) delivery vehicles for treatment of wound healing. Thereby tropoelastin is able to accelerate wound healing as shown by [PubMed]. Other possible applications are summarized here: [PubMed]. Tropoelastin is a highly flexible protein with alternating hydrophilic and hydrophobic domains. In humans, there are 13 isoforms known which are all derived from the ELN gene by alternative splicing. The molecular weight of these individual isoforms ranges from approx. 50 – 70 kDa. Tropoelastin functions as the soluble precursor molecule of elastin. After its expression in the cell it is secreted and forms aggregates that become cross-linked and incorporated into growing elastic fibers. With a half-life of >70 years elastin is a highly stable protein. Moreover, it is a fundamental component of the extracellular matrix (ECM) of tissues whose function requires flexibility (e.g. blood vessels, heart, lung or skin). Elastin provides elasticity and strength and enables these tissues to return to their original shape after being stretched. Besides that, elastin is also involved in wound healing. Due to its immediate turnover into elastic fibers, native tropoelastin is not available in the cell and therefore cannot be purified from tissues.  Using recombinant methods, we are able to provide human recombinant tropoelastin as sterile, lyophilized protein of high purity for research applications. To order tropoelastin, download the order form and return it by E-mail or Fax. You can also contact us directly to inquire about other package sizes. If you have questions about shipping please contact us. Our prices are net prices, i.e. they do not contain value added taxes or customs fees. These taxes have to be paid by the customer. The ordered products are usually shipped 1-2 business days after receiving the order. The costs of the delivery have to be paid by the customer. Please select your preferred shipping option.